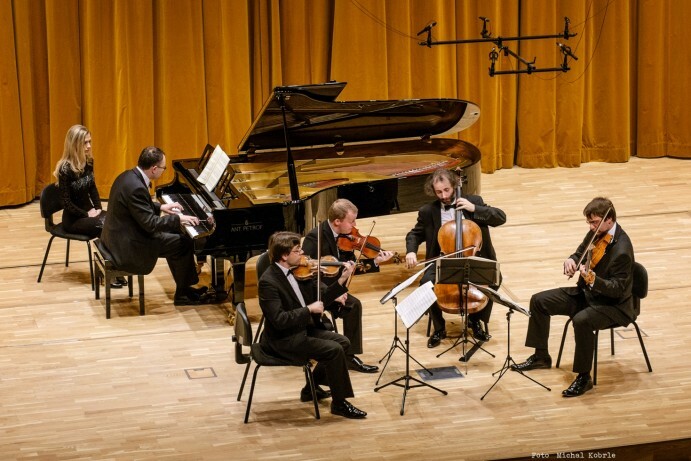 On 24th February the Philharmonic of Hradec Králové welcomed Zemlinského quartette which presented to the audience the Meditation on the old Czech choral „Svatý Václave“ composed by Josef Suk and „Listy důvěrné“ by Leoš Janáček. The invitation to perform was accepted also by the director of the Czech Philharmonic in Prague who accompanied the string quartet in the second half of the evening playing the ANT.PETROF. The grand piano was given to disposition by one of the co-organizers of the concert, the PETROF company.